Designed with interlaced and adjustable elastic holders on one side and a large mesh pocket on the other, the KBag takes pretty much any gear you want to carry. 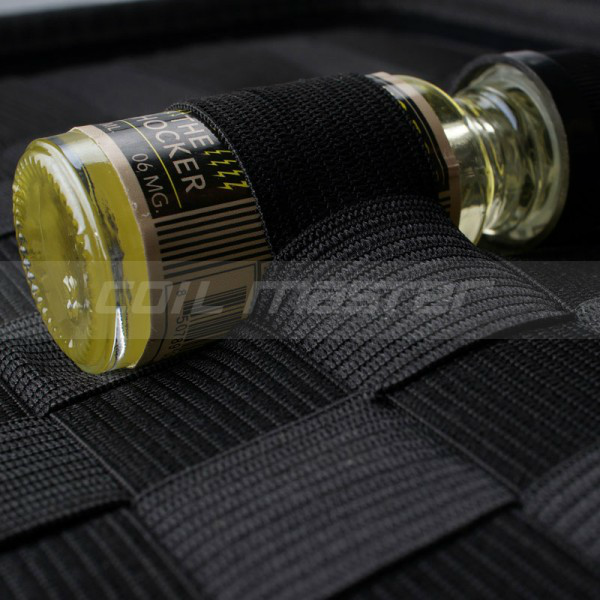 The elastic straps firmly hold your gear in place, making sure nothing shifts around while the case is being carried. 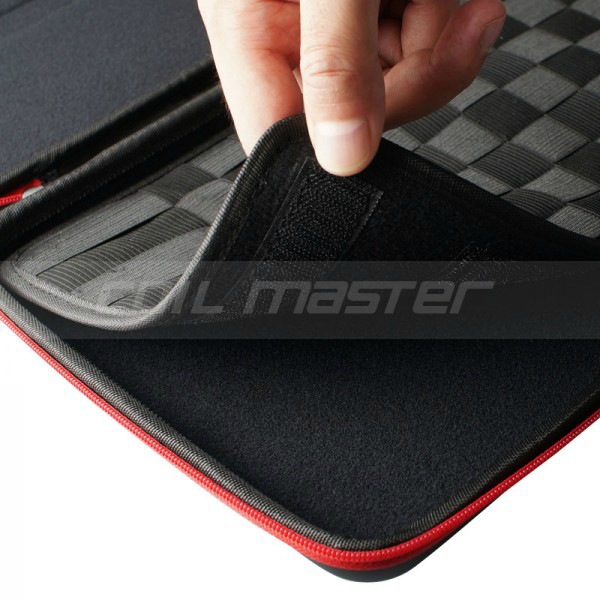 The large mesh pocket on the inner side of the top is semi-transparent and lets you see the contents easily. The mesh pocket is perfect for carrying plastic bottles, cotton, wires, coils, wicks and other vape gear. The elastic strap part is specially made to carry batteries, RBAs, mods, tanks, tools, glass bottles and other more delicate vape gear. The KBag closes with a high quality zipper. The inner part is lined with shock absorbent cushioning while the outer part is harder for optimal protection. 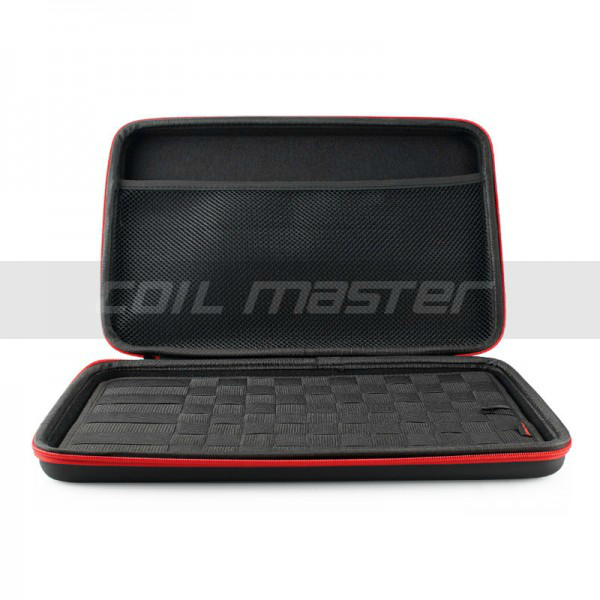 If you need a top quality travel case for your gear, the KBag is it.